Sometimes it gets frustrating making reservation on the website. Either the site you want is not available or the website is not working correctly. It is still way better than the old way of making reservations. 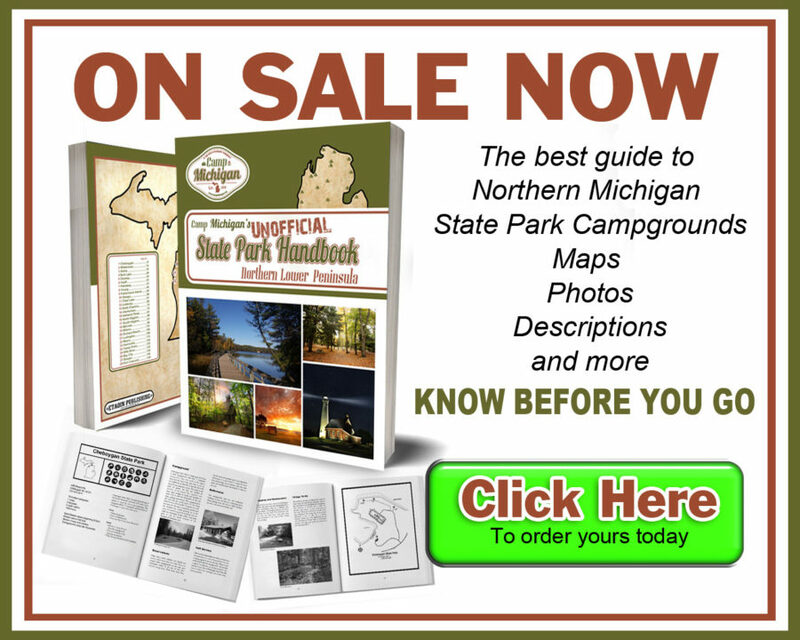 I have been camping since the 80’s and I remember to make reservations you would mail a check to Lansing with a reservation form you got at one of the parks. Yes, the old school way of sticking it in an envelope with a stamp. E-mail was just a futuristic dream at that time. When Lansing received your check either they would process it and if the dates and park you wanted were available they would send you a letter back confirming your reservation. If not they would mail your check back to you. If you were able to get a reservation, the DNR would save a site for you but they did not save a specific site for you. Lansing would mail a list of reservations to the state park and when you showed up they would look on the list for your name. Most of the parks had a large whiteboard behind the counter with a map of the campground. If someone was camped on a site they would write the date they left on that campsite. You could choose from any available campsite. That means that if you get there early in the day you had more sites to choose from. If you made it there Friday night you may be getting the only remaining site in the park. I was told that the DNR only reserved about half of the campground and the rest were available for walk-ins. That meant that most people would get there on Thursday to get a site and the earlier you got there the more sites you could choose from. The new system is not perfect, but it is nice knowing you have reservations and what site you are on. I remember going up north going from park to park looking for one that was not full hoping to find a campsite for a holiday weekend.